Swagbucks partners with coupons.com to allow you to print coupons from your computer, just like the ones that come in the newspaper or mailbox. There are hundreds of coupons, most of them ones you probably won’t use. 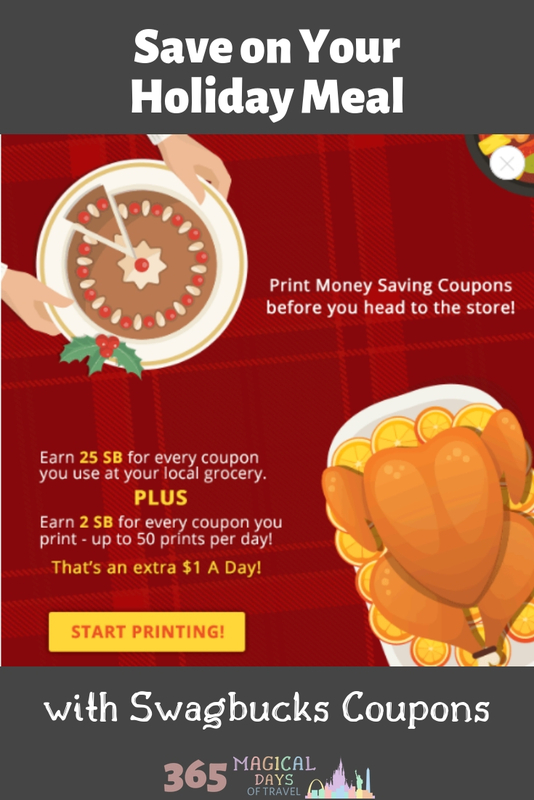 However, you can select the number you need to get the bonus for printing (right now it’s 2 SB per coupon, up to 50 coupons per day), and set your printer to go to a PDF instead of wasting ink and paper. 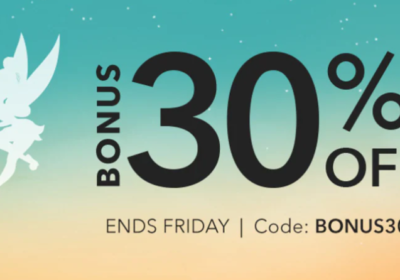 I try to find a couple of coupons that I can actually use in the store, because Swagbucks will pay 25 SB for every coupon you redeem. From the Swagbucks home page, click on the Shop section and find Grocery Coupons on the left-hand menu. The page from coupons.com will load all of the coupons that are available to you. I say, “available to you” because it’s highly personalized (probably using cookies on your browser). Once you clip a coupon and print it, it moves down into your unavailable queue. You can have hundreds of coupons available one day, and only a few the next if you’ve been printing a lot. For this reason, you want to make sure that you go through all of the coupons and queue up ones that you actually might use in the store. Make a mental note of the number you are printing and subtract from your daily max. Go ahead and install the printer app and print these coupons to use. They will print three to a page, single sided. Now that you’ve printed any coupons you really need, start at the top of the list and select any that you know you will never use, up to the daily maximum, which right now is 50, but sometimes reaches as high as 100 and as low as 25. 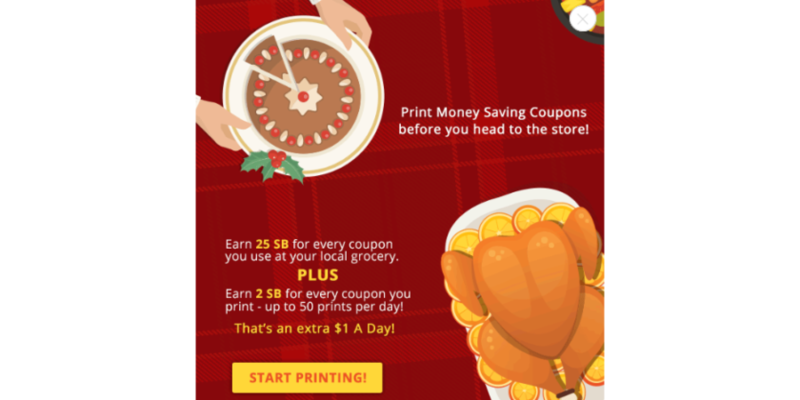 As soon as you’ve hit the max (minus the ones you already printed), click on Print Coupons. 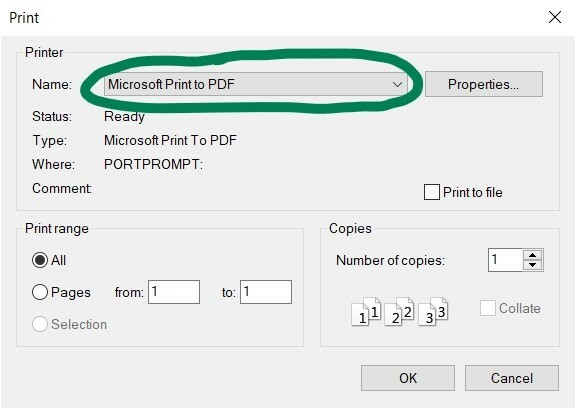 You don’t want this set to print since it will be a waste of ink and paper, so when your printer dialog comes up, set the printer name/destination to PDF. 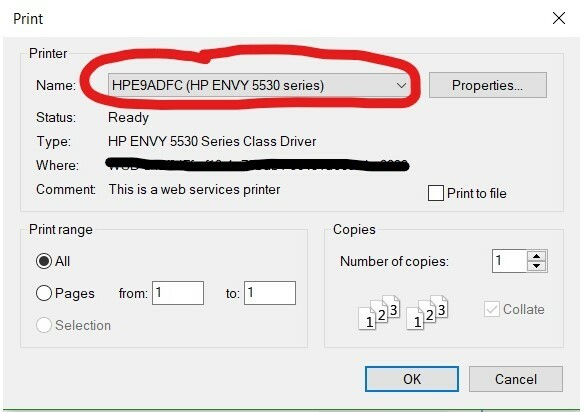 That way, instead of sending your coupons to your printer, you’ve sent them to a file which you can save on your computer and just delete later. These little tricksters get me every time and make this coupon-printing endeavour that much longer. Sprinkled throughout your coupons are little advertisements disguised to look like the coupons you are clicking, except instead of Clip Coupon popping up when you hover over it, Click To Save pops up. They’re very similar and hard to distinguish when you’re trying to click a bunch at once. Try to avoid these charlatans since they’re just trying to slow you down by opening in a new window! So if you click on one of the referral links in this post, you can sign up for Swagbucks, too. 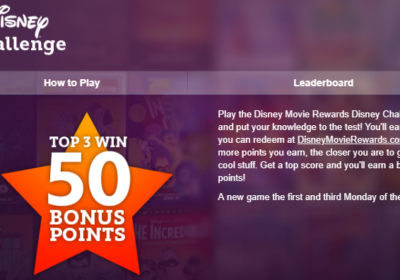 I will get a referral bonus, and you will get a sign-up bonus. Win-win! Looks interesting signed up. Always looking for a good deal. Thank you for signing up through my referral! 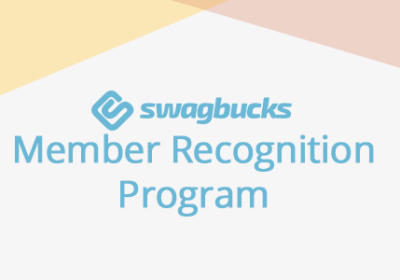 Go here to learn about all of the other ways to earn with Swagbucks.